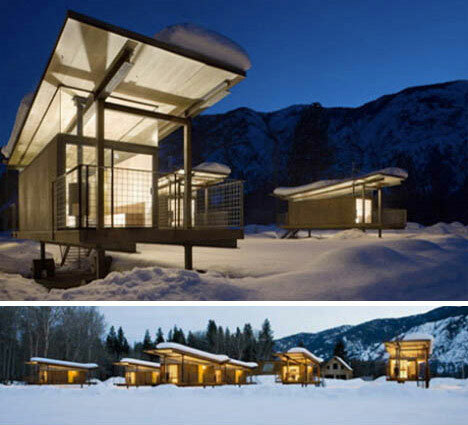 Forget the stereotypes – prefabricated homes can not only be ultra-portable and easy to assemble, but also sleek and modern, aesthetically rivaling the best of modern architecture. 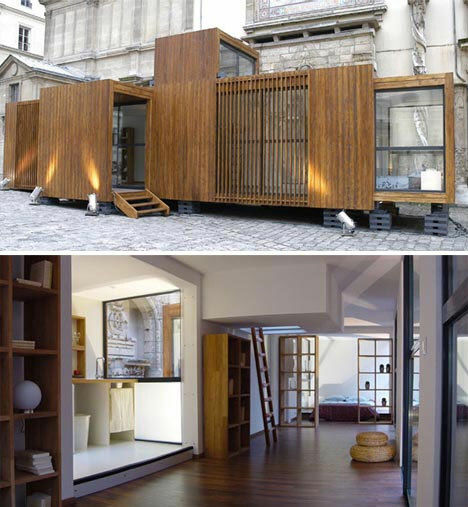 From rooftop lofts that can be dropped on site with a crane to tiny residences with insect-like legs that allow them to perch practically anywhere, these incredibly versatile, mobile dwellings represent the best of what prefabricated architecture has to offer. 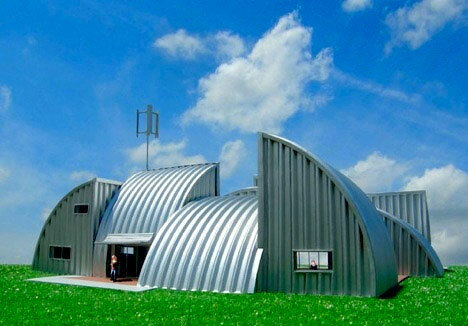 Green architect Michael Jantzen has transformed the standard rural steel building into a pre-fabricated, modular modern wonder that can be reconfigured as desired. 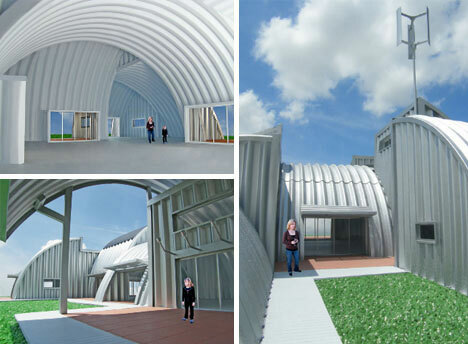 Energy-independent and made from recycled commercial steel of the sort often used for agricultural applications, this concept is a sustainable – and affordable – option for rural residents. “Homestead House is a conceptual design for alternative housing that explores the potential use of a commercially available steel, prefabricated, modular, high strength, low cost, arch building system normally used for agricultural purposes,” said Jantzen. 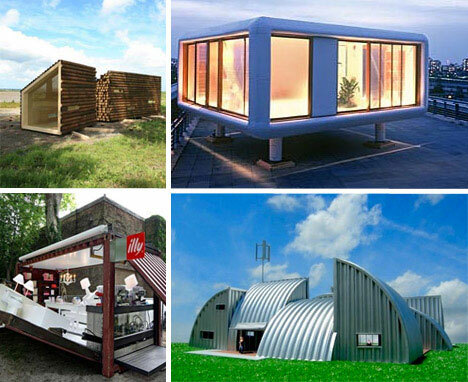 The Illy Push-Button House is about as portable and compact as modern prefabricated homes get. What began as a somewhat worse-for-the-wear cargo container was transformed into a tiny home that unfolds to reveal a kitchen, dining space and even a restroom. 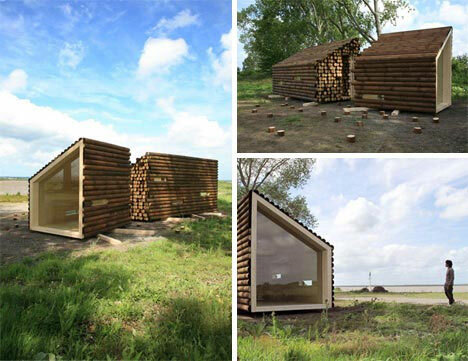 A later version takes the concept even further with a more complex design that retains the cargo container shell, but provides more space and privacy including a bedroom and a living room. If the idea of living in a steel crate isn’t appealing, but you still find the portability attractive, the Drop House may be more your cup of tea. Though it collapses into a cargo-container sized unit for shipping, once it’s assembled this prefabricated home blossoms into a surprisingly roomy living space that offers a warm, cozy layout similar in feel to homes manufactured on-site. High rooftops have the best views in practically any city, but more often than not, they’re just wasted space. Not only does the LoftCube take advantage of that space, giving rooftop dwellers access to sweeping vistas, but it’s so compact, it can be transferred whole to the top of a building with a crane. Segmented into living and sleeping areas with partitioning panels, it offers compact rooftop living and plenty of windows from which to enjoy the view. This metal-clad prefabricated box home may have an ultra-modern exterior, but it doesn’t come with a sky-high price tag. 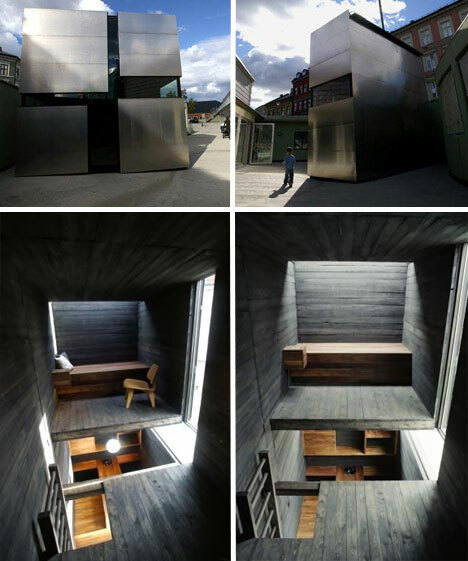 Tall and thin, this home has a tiny footprint but manages to fit several rooms into its wood-clad interior including loft spaces with built-in bed platforms. 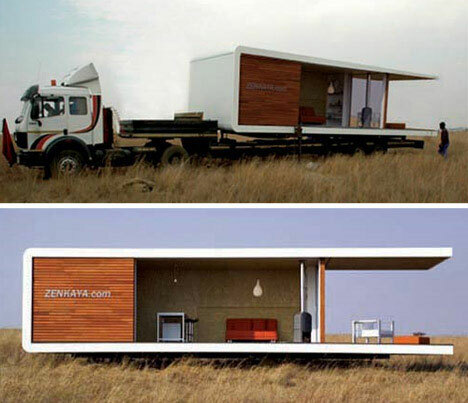 Promising “a headache-free process with cutting edge design”, the Zenkaya all-in-one prefabricated home can be shipped to your choice of location on the back of a truck. Nearly all of the setup takes place at the factory, so once it’s delivered, moving in is a snap. Available in studio, one bedroom and two bedroom models, the Zenkaya is designed to bring the outdoors in, with floor-to-ceiling glass windows that provide panoramic views of the scenery. Having a home on wheels doesn’t mean sacrificing aesthetics. 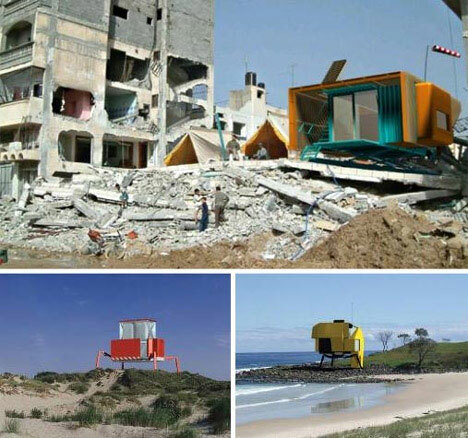 These compact prefabs were built for a specific site, but they hint at the heights that portable home design could reach in the future. The simple wood and metal structures gain a sense of airiness and space through high ceilings and plenty of glass, and in a group they prove that trailer parks can be attractive and desirable. 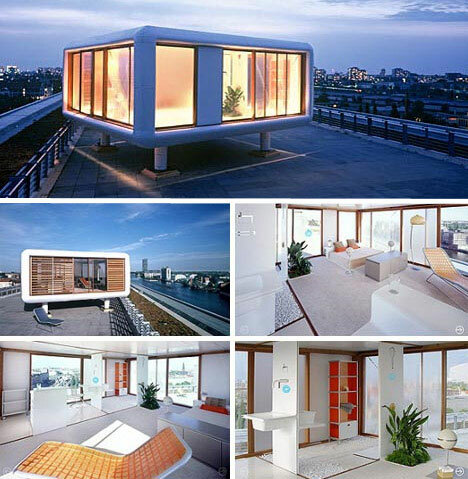 No architecture firm has stretched the limits of cargo containers as portable residences more than Lab Zero, which creates homes that can be delivered by cargo ship and are location-independent. Each unit is based on single storage container dimensions, but can expand and contract based on weather and site conditions. Some designs even mimic insects, with expandable legs that allow them to perch nearly anywhere. Living in a prefabricated home doesn’t always mean sacrificing space. 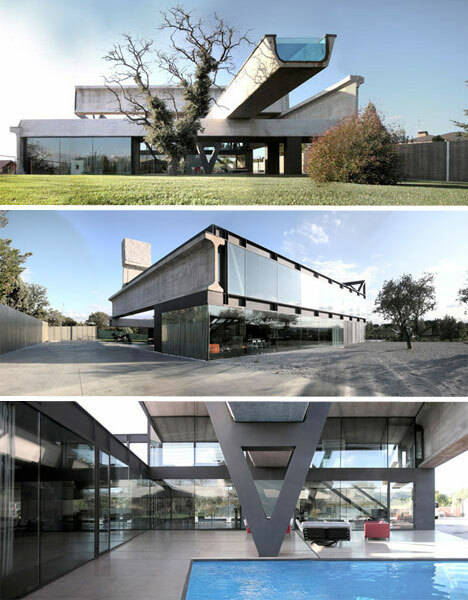 The Hemeroscopium House by Anton Garcia looks like it took months or years to complete, but this massive concrete-and-glass prefab was assembled in just seven days. It has just a few major structural elements that were constructed off-site, and then put together so that the weight was balanced just right.